We make it our business to learn about our community and to share what we know. We build and manage endowment funds for a stronger community today and tomorrow. Our difference is forever. Working together and partnering with local organizations and caring citizens, we provide grants to worthy local causes. Our goal is to support a wide range of initiatives which sustain and improve the quality of life in Cambridge & North Dumfries. A forever resource for community-building in Cambridge and North Dumfries. Today – Collaboration leading to immediate impact on strong and diverse communities. Tomorrow – Leadership through knowledge-sharing. • Read our publications such as our newsletter, Annual Reports, and our audited financial statements. • Join our distribution list where we’ll share what we’re learning about in our own neighbourhoods and how we’re helping to build a better future. Click here to subscribe. • Visit the “Impact” section of our website to learn how our grants are building our community. We are a proud member of Community Foundations of Canada (CFC)? 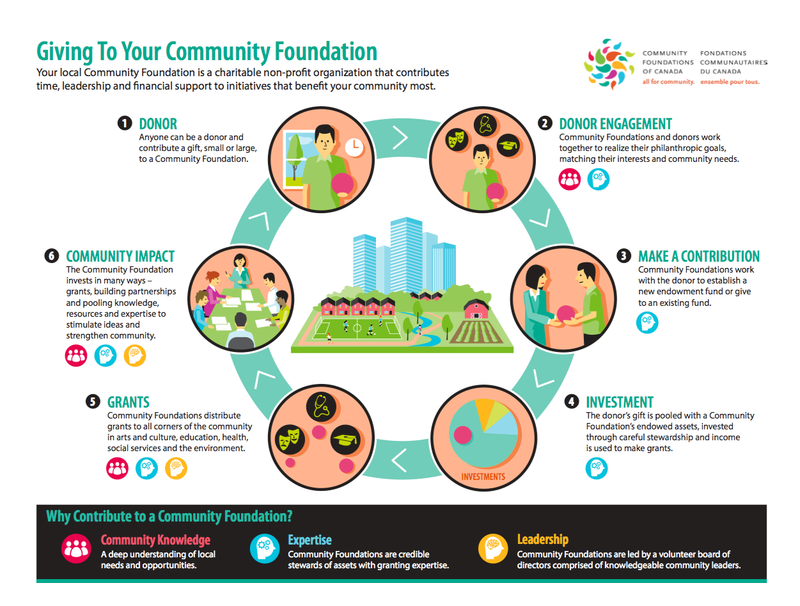 Community Foundations Canada works on behalf of more than 190 Community Foundations across the country. Together, we help Canadians invest in building strong and resilient places to live, work and play, from coast to coast. Our network serves 82% of Canada’s population – from our largest cities to our smallest towns. Across the country, Community Foundations hold combined assets of more than $5.2 billion and have put hundreds of millions back into our communities.